夢に向かって…Facing Dreams…Translated by Naoko Ozaki, Ph.D.
展望…Prospects…Translated by Naoko Ozaki, Ph.D.
みなハート型…All in the Shape of a Heart …Translated by Naoko Ozaki, Ph.D.
ほどほど…Just Enough…Translated by Naoko Ozaki, Ph.D.
花とてんとう虫… A Flower and a Ladybug…Translated by Naoko Ozaki, Ph.D.
about two kinds of trees, Pine and Willow. Willow is swaying besides Pine. Pine never moves by an inch. so it’s hard to understand each other. But one day they realized what’s the best for them. HEART to HEART tells us what’s the good thing for life through many creatures. This story is also for both children and adults. morality, philosophy, fable and ethics. The story will be going on. 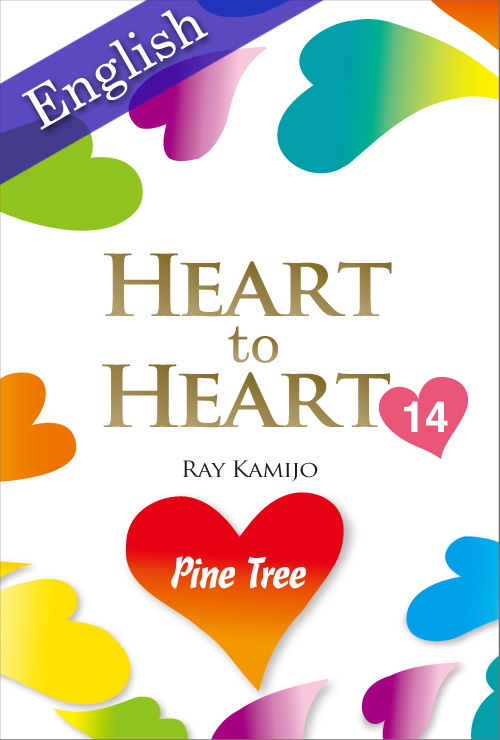 HEART to HEART (12) has published in Amazon USA. This is a rabbit whose named Pyon-chan. Pyon-chan finally finds a new friend. The story with warm-minded is not only for children, but also for adults. HEART to HEART will be going on from now on. A year has passed since I started publishing in Amazon USA. I had corrected and revised more than 50 to accomplish these works. How can I reflect my works in Amazon USA? It took me a few months to get answers. spent more than three hours to publish in Amazon USA. When one door is shut another is open. We could upload more efficiently by using HTML. will be forced to stay in the small world. Every door is opened for everyone. Each door has many hints in front of us. It’s up to our minds to see them or not. whether we can listen to what others say. how can we share with others? people will be able to grow up with gratitude. It might be better to take long hours for success. I feel so from the bottom of my heart. I have to face to face my weak points so as to get my goal. but I’m so excited to walk with staff, not for myself every day. has published from Amazon USA. This story is written in English and this is No.13. The story is about three budgerigars in a cage. I tried to write simple English and easy to read for children. Designer/Hazuki Kimura made this cover for eBook. It is being published in Amazon USA and other countries now. The story will be published soon in Japanese, too. HEART to HEART  has published from Amazon USA. This is a story about Carp whose named “Marukichi” written in Japanese and English. HEART to HEART has 108 stories. There are so many creatures in the stories. The book, “Road” is already published by Amazon USA last January. I’m a Japanese, so it’s a challenge for me to epress my emotion in English poem. But I think the wall of language is not as hard as the wall of heart. I would like to write inspirational words that will penetrate to a person’s heart. Every moment that I write a poem is a precious moment. It makes me spread my wings and fly like a bird. Little by little, the number of readers are increasing. I’ll never forget every appreciation from my readers. It encourages me to write more wonderful English poems. was published for Amazon USA. “Gift”, “Following my dream”, and “An evil spirit”. 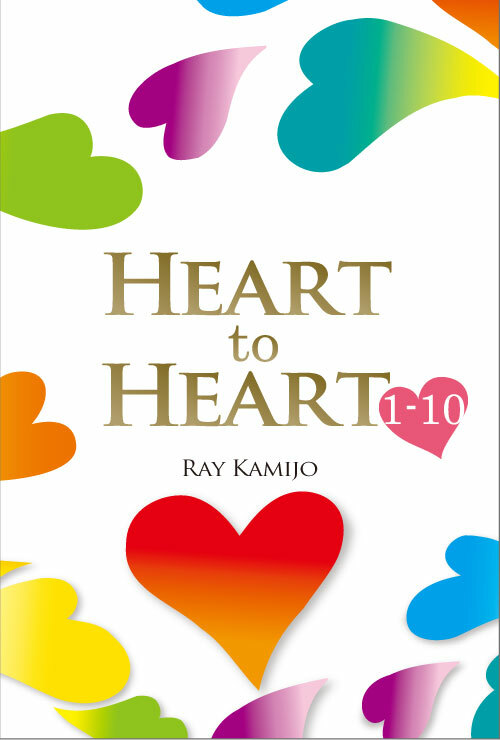 each book is being written by Ray Kamijo. I will write the stories in both English and Japanese. This book is from Vol.1 to Vol.10. Each story includes the key to live a better life. Medaka, Sparrow, Crab, Dog, Pig, and Crow. HEART to HEART will continue until 108. The number is meant be the number of worldly desires. The book is on sale in Amazon.